Discussion in 'Pokémon Role Play' started by Sem, Oct 8, 2010. Just a handy guide for those new to Charms Role Play or for those who’ve been around and simply want to try it out. Like a story or a movie, the driving force behind an RP is the plot. You need a good one to keep other RPers interested. This means that you need to try your best to make it as original and un-cliché as possible, which is pretty hard since few ideas are ever original anymore. Of course, sometimes cliché ideas are fairly enjoyable, so it’s really up to you to judge what you think people will and will not like. Use the RP discussion forums to discuss your idea to see if people are interested, and they can also tell you what you can change. You also need to decide if you’re the one who keeps the plot moving in your RP, or if you’re going to let the other RPers decide through their actions and whatnot. Those are really the two BIG things when it comes to Roleplays, but I highly, HIGHLY suggest you read this thread. Please read it, oh gods please. A lot of what is in there will translate nicely over into RP. There are other things to consider when writing an opening post. Make sure there’s room for other characters to come in! If you end your post in public place, then you have no worries, as it would be easy for another person’s character to come into the picture. But otherwise, you have to be careful, because if there isn’t an opening then no one will post. When you’re posting in someone else’s topic. If you’re the one posting in a topic that isn’t yours then there are a few things to consider. One of these is READ THE BLOODY TOPIC, ESPECIALLY THE FIRST POST. ALL OF IT. There :’D I got it out of my system. A lot of times people will have their own little rules for their RPs, and these must be respected. If you fail to adhere to them then it can result in a warning and/or a possible removal from the RP. Also make sure you read all of the posts after that to make sure you know exactly what the hell is going on. The next thing is to please respect the plot. Don’t bring in your own devices that steer it off course. And please respect other RPers, and don’t be a godmodding douchebag. If you need to talk to the other RPers or make a comment, then use the OOC/BIC tags. If the comment or question or whatever is fairly long then it’s best to ask them in a PM, otherwise, use those tags. OOC = Out Of Character. This means that you’re not writing as your character, and you’re making a note or a comment, or asking a question. BIC = Back In Character. Say this when you’re done with your OOC to let people know that you’re now writing as your character again. *Note: If you don’t have any OOC comments then there is no need for a BIC tag in your post. I also typically put the tags in bold, mostly because I think it looks nicer, but you don’t have to. Just make sure they’re easy to see. That should be about it. If you have any questions feel free to ask them here. Another thing I will tell you is not to be bummed when your RP dies. Yes, I said when and not if. Because as long as I’ve been here not a single RP or PRP has ever finished. Not to discourage you, of course ;3 Just bug the heck out of the people in your RP, or accept that it’s dead and make a new one. Also take a look at these threads. * Back to school, kids. Grammar Time! * Writing Tips – yes, linking it again just in case you didn’t read it. Which you should. Right now. Lunar the Mew, 007JamesCreeper, Fire Max Rus and 1 other person like this. I have a question-do you use parenthesis to talk out of character? I have a question about "killing-off your character". If you don't want to be a part of the RP any longer, is it okay to let your character die? It could, but it's also more typical to just write your character as leaving the RP(after PMing the topic creator and telling them that you wish to leave). Death is certainly a harsh way to leave, and if they're dead, well...it'd kinda be hard to bring them back for another RP. I Have a question too, Can you sometime take plots and controls? I'm planning to make a RP Based off Mario Party. Read the RP forum rules. They should tell you everything you need to know. I have a question: how will these be organized for instance, if the RP takes more then one day how would one make sure to continue with the story? Oh, and also where could i find the RP discussions? Re: your second question, I see you already found those (Board descriptions are not that hard to read). But re: the first. Forum RPs operate on the assumption that people involved in them don't have the memory span of a fictional goldfish - they are rarely ever instantaneous in nature (especially because sometimes inspiration doesn't come or life gets in the way - I, for example, have two RPs I am currently having difficulties responding to because of a combination of both these factors). If people are being PARTICULARLY inactive or laggy, it's okay to send them a message to see if they're still on board with an RP or not - but don't overdo it. No one likes a nagging derp. If we have a godmodding Mary Sue on a roleplay, is it acceptable to kick them or something? Report them – if you put that you're the RP owner and would like them removed in the report reason, we'll sort it out for you. The prefix "Private" is just a prefix. Anyone can still post, but if they aren't allowed, you can report them. One thing I often do is, If I control multiple characters, like an Espeon and an Umbreon, I make it so that when one's talking, the Color changes. I used red for the Umbreon and purple for the Espeon in that example. There are other ways to show who's talking, but that's what I do. While it's certainly a valid technique, it's not generally something we'd do here or particularly recommend. Colours can be misleading and often make role play posts difficult to read (that green isn't really legible for me, for example). Instead, use your prose to describe who is talking, even if it's as simple as "'Welcome to Hoenn, John said," or "Dave shrieked at Jane to get in the chopper." If in doubt, we try to write like you might see in a novel. I think it might be time to actually do that challenge here... making an RP that like either finishes or possibly goes on... I do tend to use brackets which are these symbols: [ ], if I'm translating Pokémon talking. Also well... 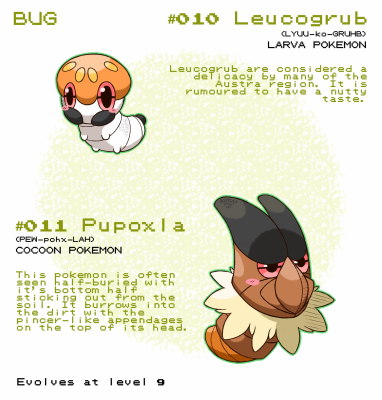 I'm curious in using unused Pokémon in roleplaying here. Are we allowed to use them? And if so, do we need approval or any special permissions from a moderator or admin? That might be against the rules, like using your own Fakemon in an RP. I'm actually asking about the unused Pokémon that have been created and even used in some game betas. I'd have to assume since it's legendaries... I'd have to say probably special permission would be required from the staff. 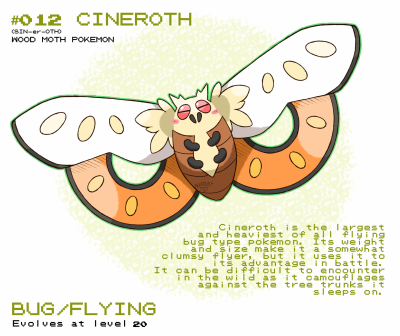 And well, I'm not the only one that has fan made legendaries now. I think that legendaries could possibly be from like a simple sighting, to like fighting alongside it and even ultimately befriending them. If someone isn't following the rules of your rp, is there a way to ban them from it? Also, I'm a bit confused about how I ask for permission to have a mega evolved Pokemon in my mainstream Rp character's team. This depends on if you are able to juggle with each role play and not get one of them left behind in favor of the other. I have seen that, but if you are planning on having that kind of role play, then you might be better off organizing it first beforehand instead of having others sign up for said role. Question: If you're in an rp, and you have to fight gym leaders to get badges, What do you do? 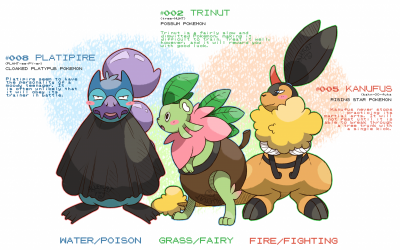 Do you roleplay as the gym leaders for that time? Or what? Depends on the RP creator. They either usually let you be the gym leader for an easy way to put up a few posts of you fighting them. Otherwise, they'll be the gym leader to keep people from making the gym leader not themselves (i.e. : Lt. Surge not battling ferociously and with raw power, Misty not using the water battlefield in her gym, or just destroying their personalities and enforcing your headcanon on them when it is not needed). Headcanon is basically where your interpretation of a character isn't canon, but can't be backed up that it is fake or not given their personality and history. Oh, Thanks a bundle! this helps a lot.